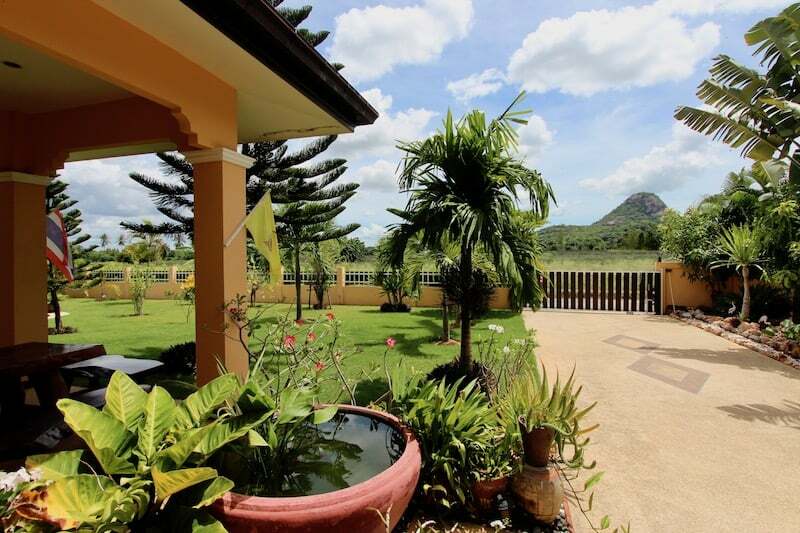 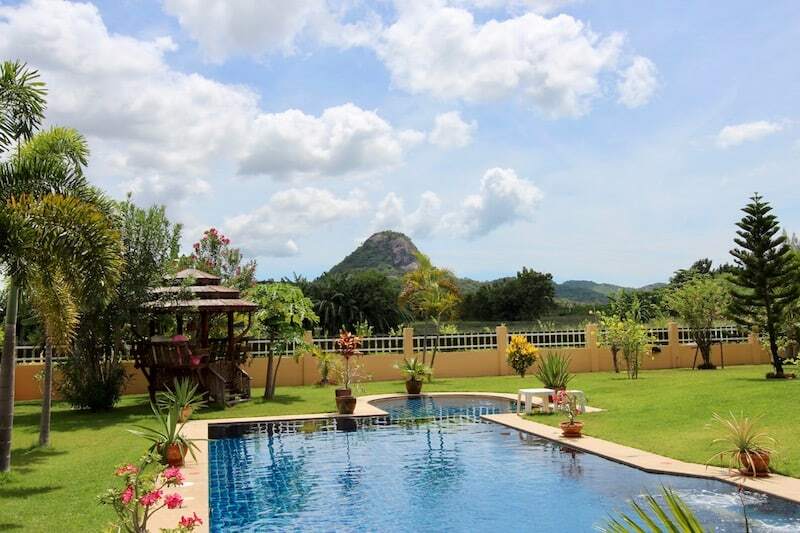 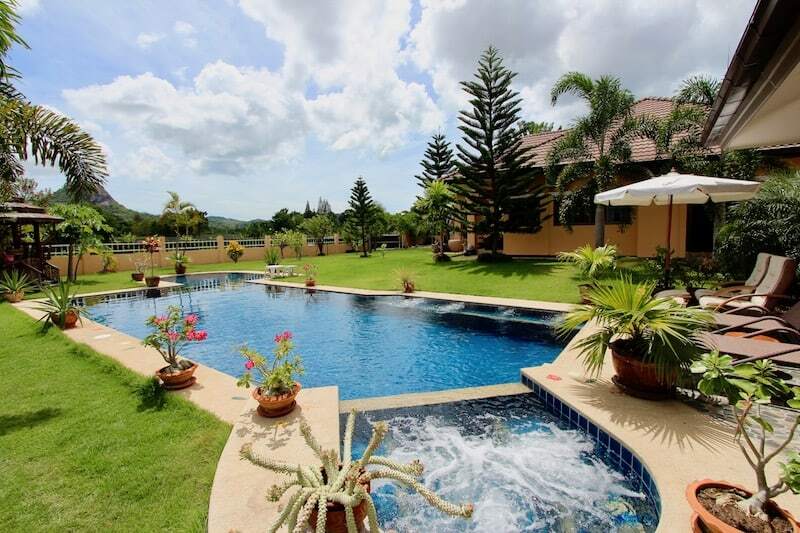 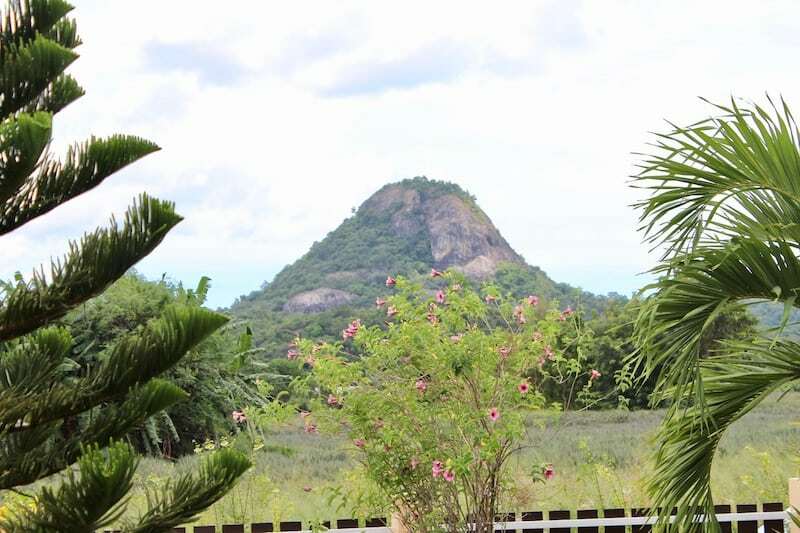 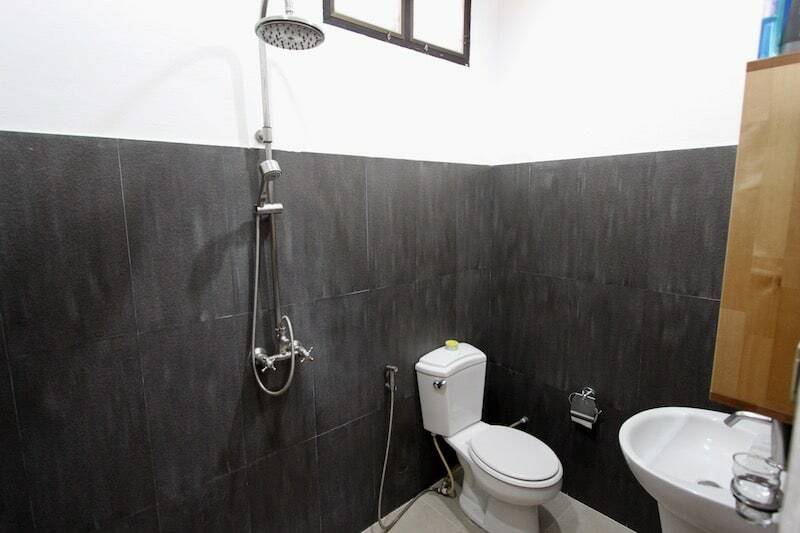 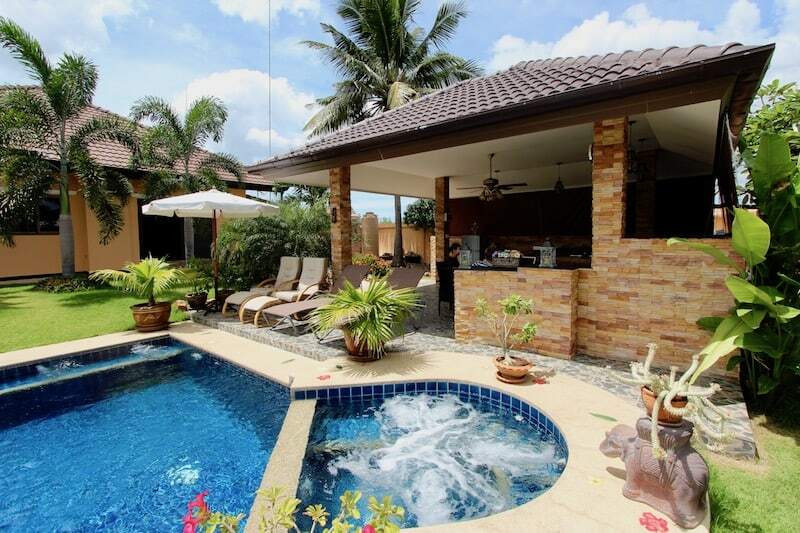 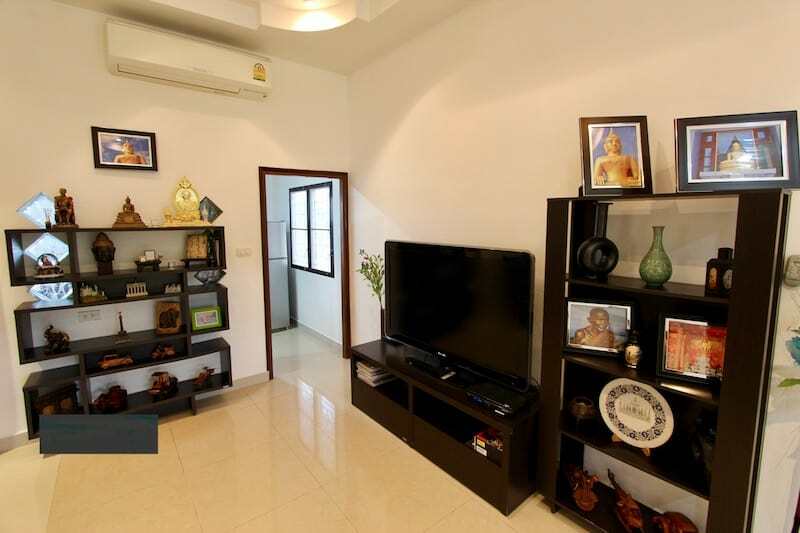 This home is located just south of Kao Tao in a lovely area surrounded by mountains and nature. 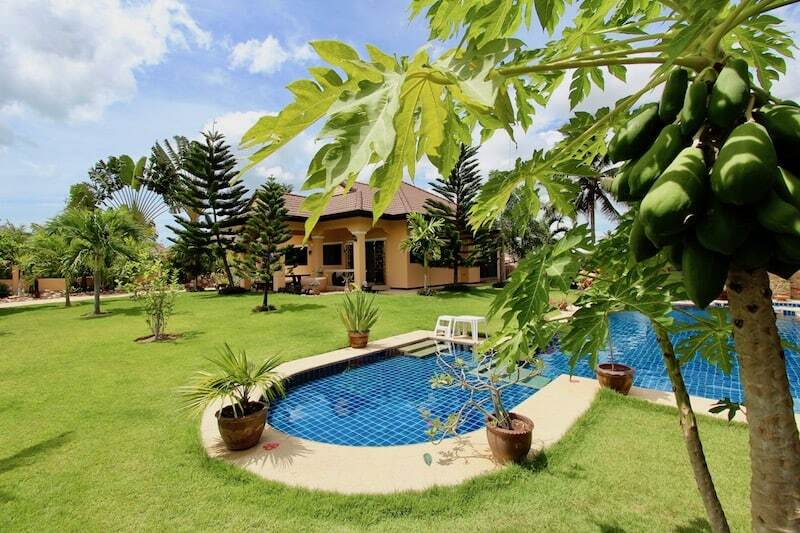 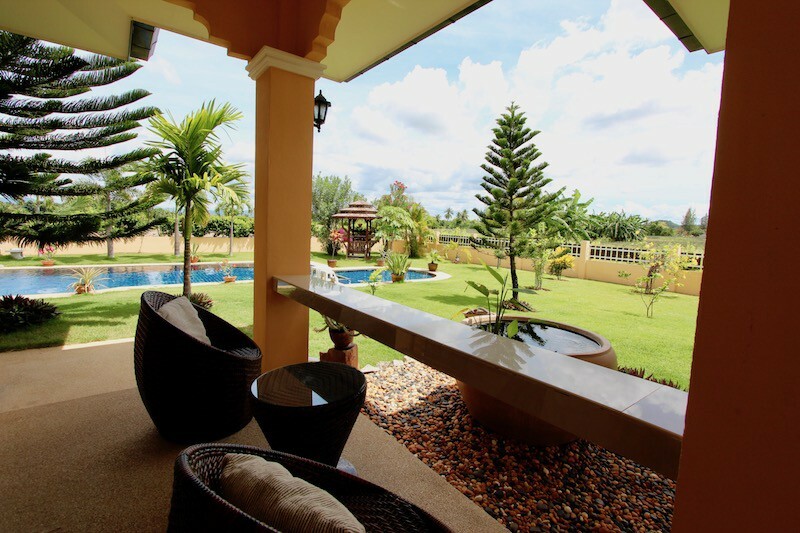 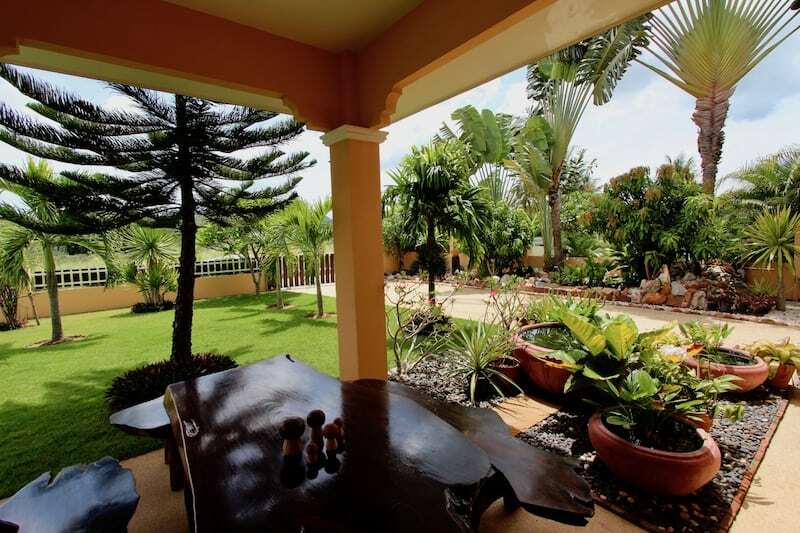 The home sits on 1 Rai of land (1,600 sqm) within a beautifully cultivated, mature tropical garden. 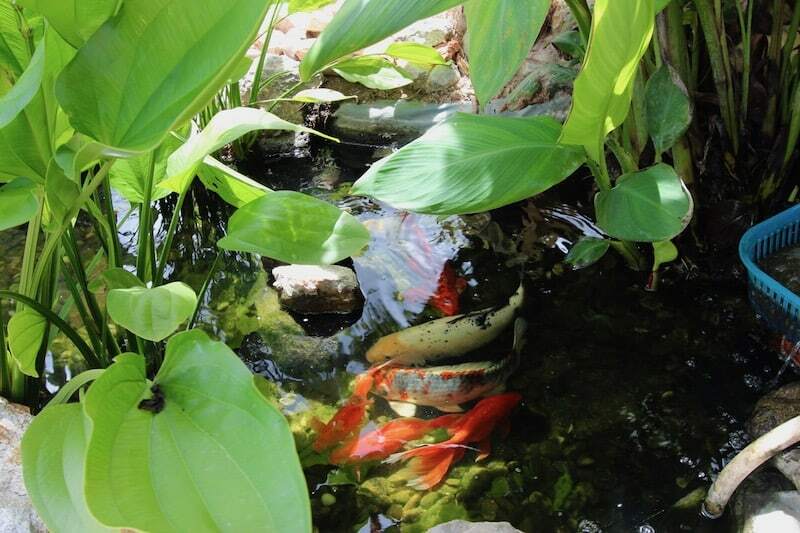 There is a water feature complete with Koi fish, and fruit trees and raised vegetable beds add beauty and provide nourishment for the body and soul. 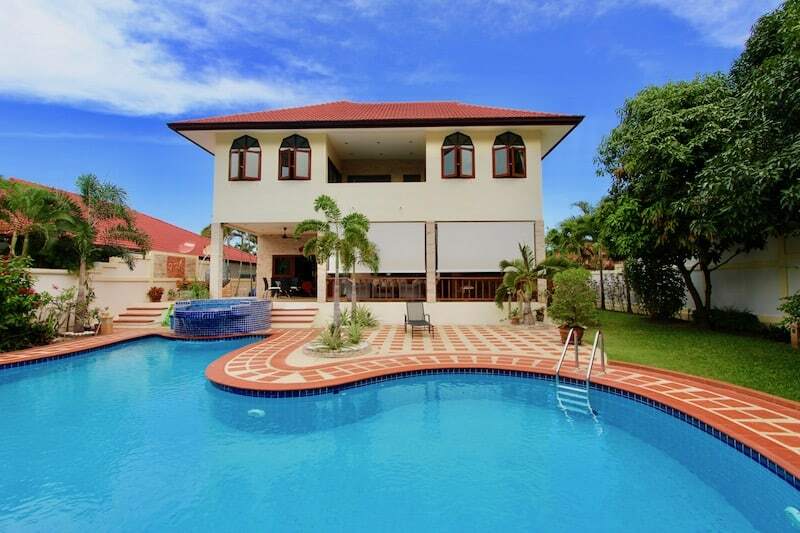 The long 15 x 5 m saltwater swimming pool has both a shallow end and a “children’s pool”, perfect for any age child who likes to sit and relax in the refreshing water. 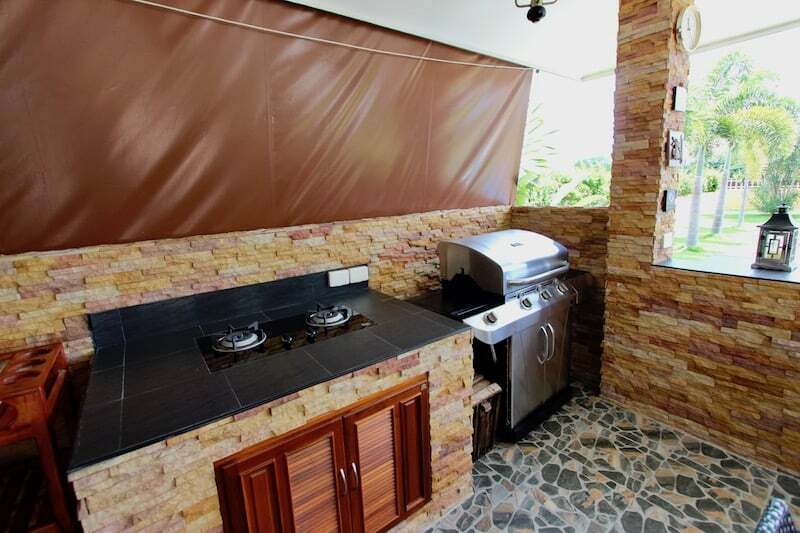 There is also a jacuzzi which faces the impressive mountain views and claims the best seat in the house. 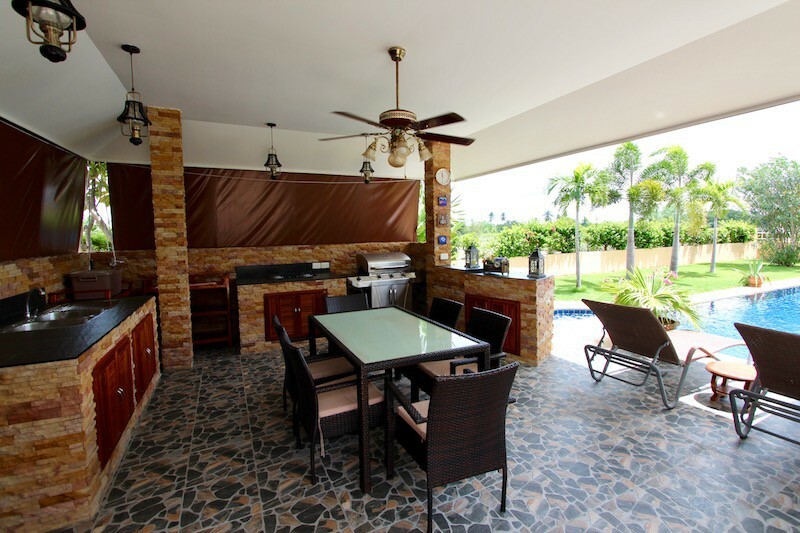 Since Thailand is all about outdoor living, the most important feature of the house is the covered terrace, or “sala” which has a spacious dining area plus a full outdoor kitchen with high quality Ziegler & Brown BBQ, a sink, gas stove, and built-in cabinets and ample countertops. 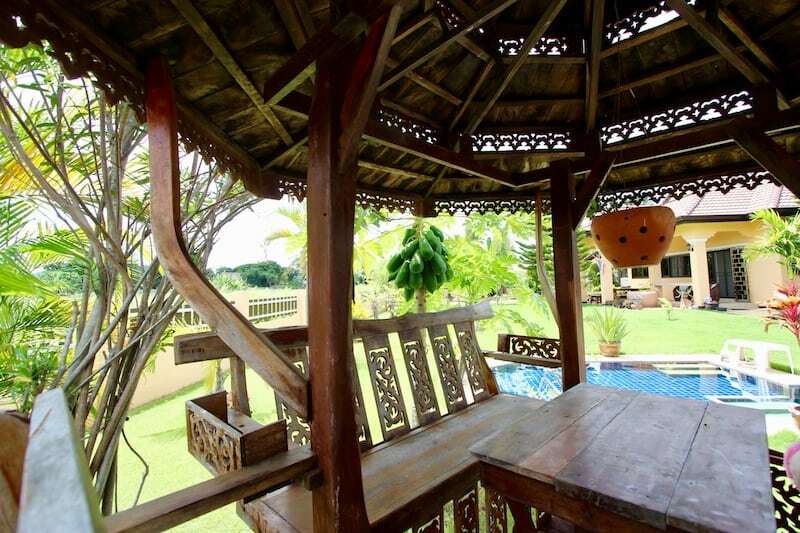 This is easily the most utilized spot in the entire house, as the breeze flows through the terrace, making it comfortable and cool day and night. 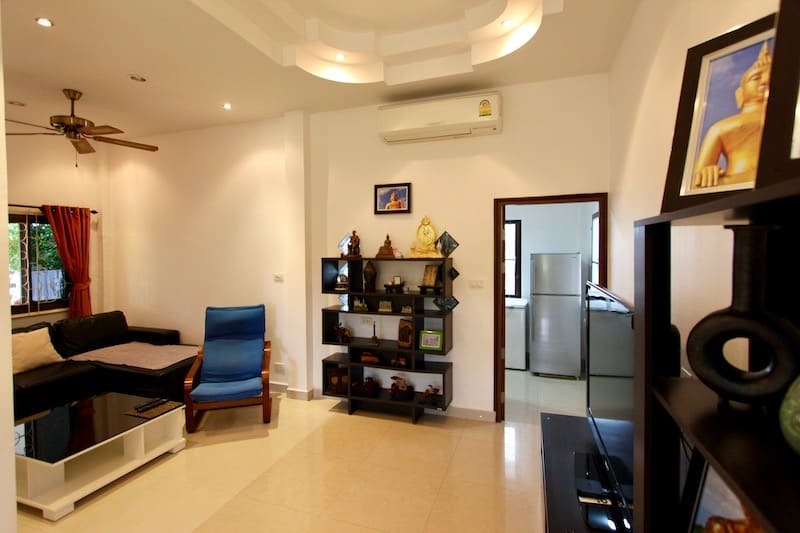 There is a ceiling fan for the rare moments without a breeze. 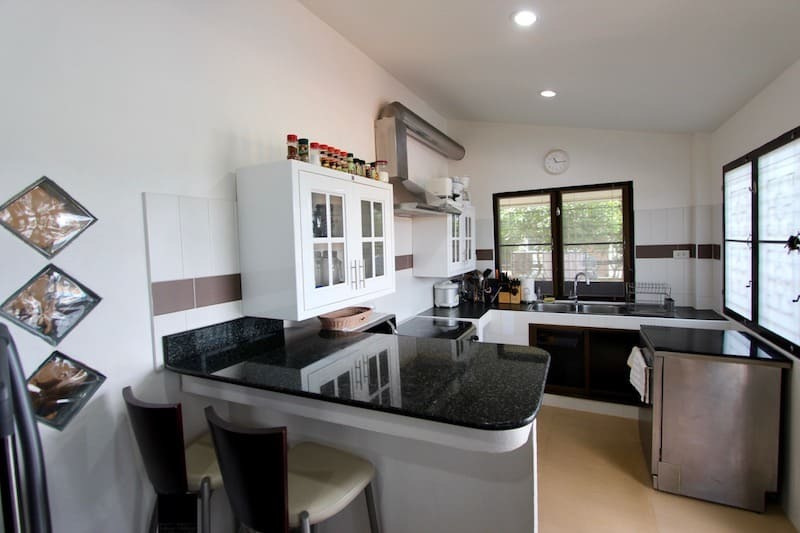 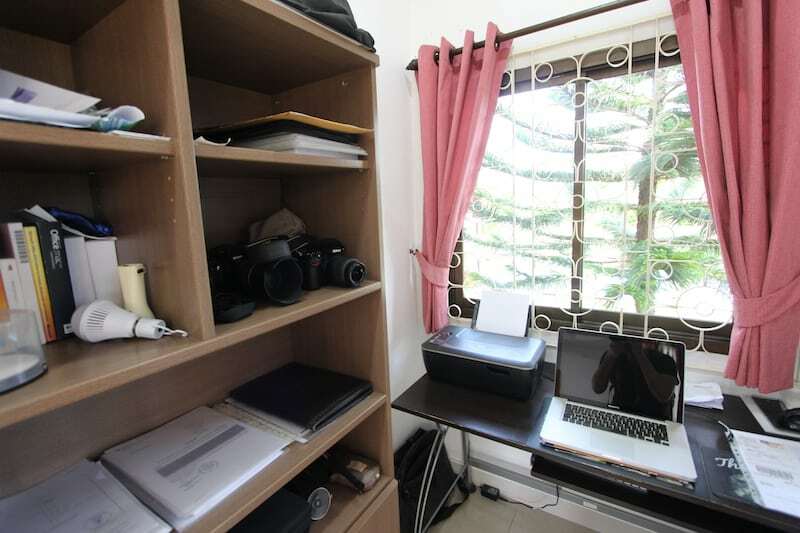 The main house consists of 3 bedrooms, 2 bathrooms, a living room, kitchen and small office corner. 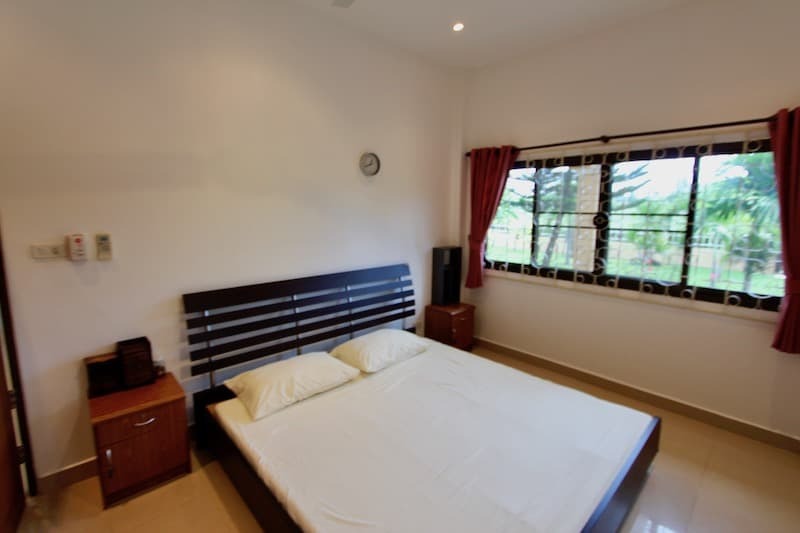 All rooms have air conditioning, ceiling fans and mosquito screens. 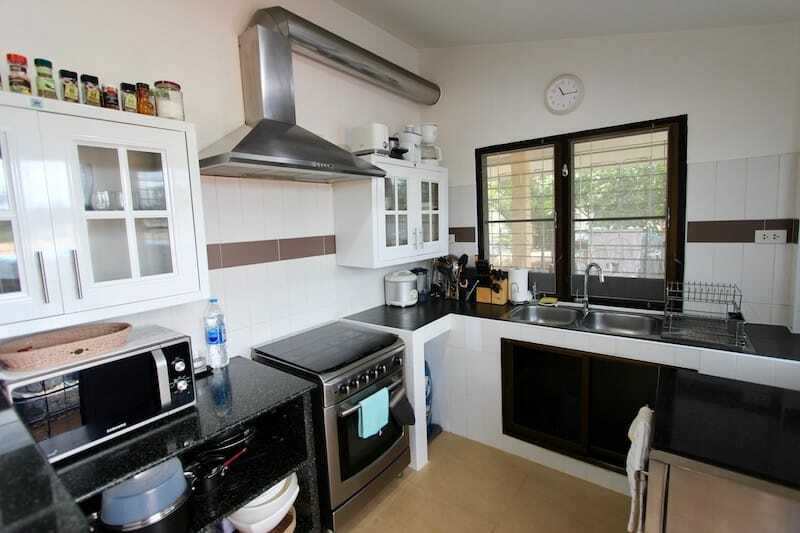 Additionally, there is a covered carport with space for 2 cars. 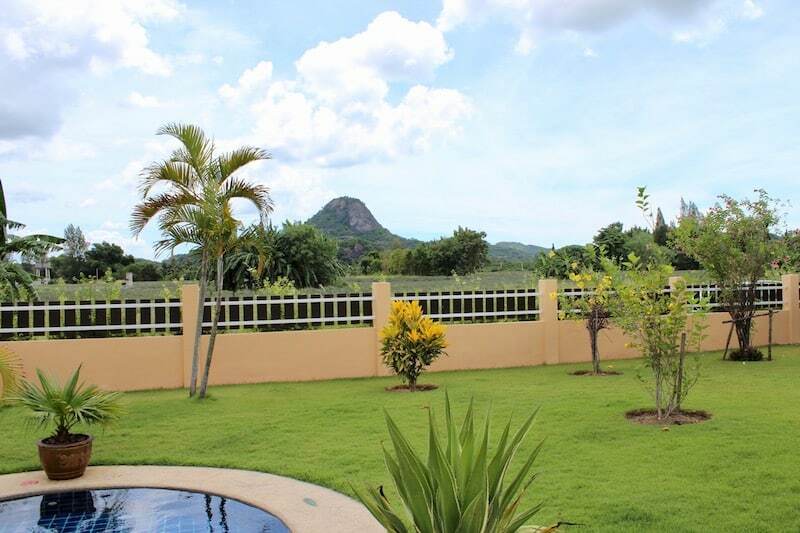 The property also has 9,000 L water storage tanks and rainwater collection system. 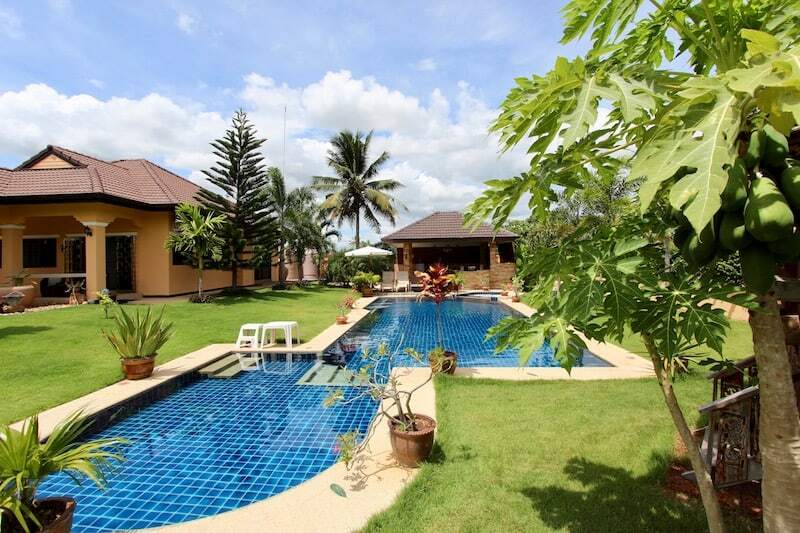 The location is approximately 10 minutes to Kao Tao’s beautiful Sai Noi Beach; 10 minutes to Pranburi Tesco Lotus and Makro shopping center; and only a few minutes to several local shops, restaurants and outdoor markets. 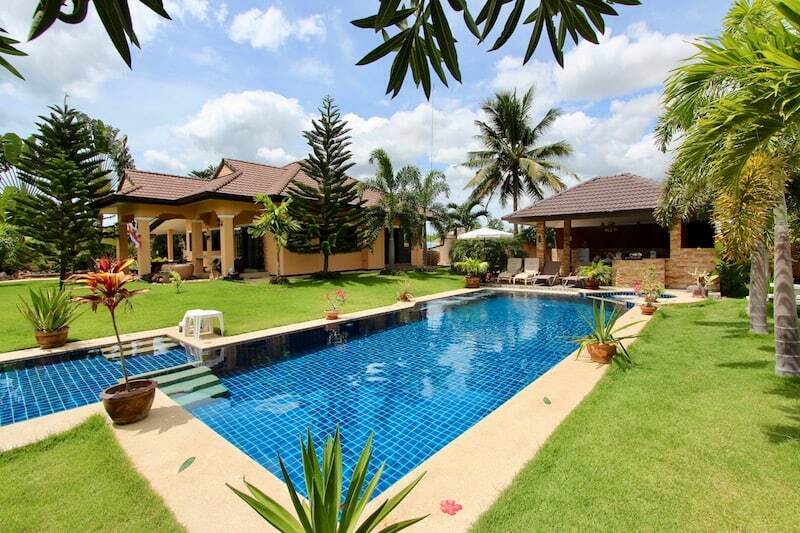 The purchase price of 7,900,000 THB includes all furnishings, the house and the land (owned freehold). 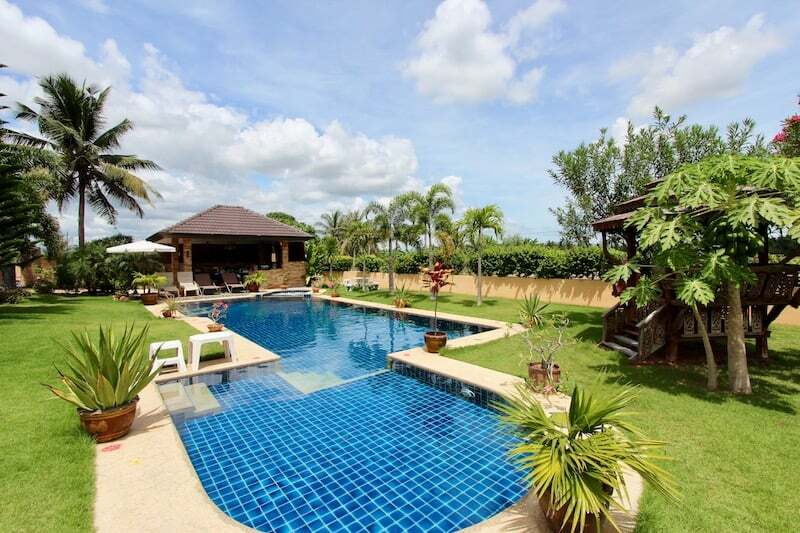 There is the option to purchase only the house, fully furnished and remain on a lease with the current land owner; the price for this option is 6,800,000 M THB.